These new live recordings by the Paul deLay Band capture the Northwest harmonica legend at the peak of his power as a live performer, and a great band at the top of its game. Released only weeks after deLay's untimely death at age 55, the CD features 15 tracks from three different venues: the Untapped Blues Festival and the Sunbanks Festival in 2004, and a sold-out concert at Seattle's Triple Door in 2006, where the band earned several standing ovations. 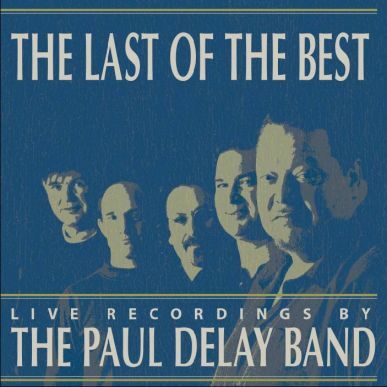 The Last Of The Best is the first live CD by the Paul deLay Band, which has toured from Canada to Mexico, and from Alaska to Mississippi. And since the final version of the band never made it to the studio, it's the only record of their remarkable work together. Paul deLay sings several of his own hits, but devotes himself mainly to his beloved "classics" here, such as St. Louis Jimmy's "Can't Stand Your Evil Ways." DeLay resurrects Chris Kenner's neglected masterpiece, "Life Is Just A Struggle," and succeeds in making Muddy Waters' seldom-heard "Look What You've Done" absolutely his own. Co-frontman and piano player David Vest sings lead on four titles, including "Try Not To Kill Me," the house-wrecking closer, and "Life's Highway," a tribute to Big Walter the Thunderbird. Chicago-born Peter Dammann, the band's longtime lead guitarist, Dave Kahl (bass) and Jeff Minnick (drums) contribute inspired performances. Paul deLay was a unique artist, and this is a special band.